I don't know why but I'm really enjoying this French mood that I'm in. And so, tonight, Ryan and I will feast on Julia Child's Coq au Vin. Bon appetit! 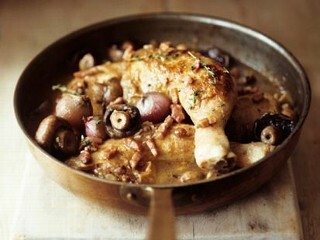 It's easy to get (and stay) in a French mood :-) Especially when it involves Coq au vin. wow! that looks so delicious! ok.. now im going to have to try and whip that up!